I’ve recently been asked to submit work based on a theme for a couple of upcoming group shows. This has put me in the new and interesting position of going through my archives with fresh eyes and a fresh purpose, attempting to assemble a cohesive essay from hundreds of thousands of disparate moments. It hurts my brain a little bit to acknowledge that I have 9 years worth of archives, although most of the early work is just awful. I’m not really sure who was crazy enough to see the potential in me. I would have told me not to quit my day job. Perhaps it is because of the little hidden needles in the haystacks I’ve been encountering that some kind souls gave me the time of day and trusted me with a few internships. 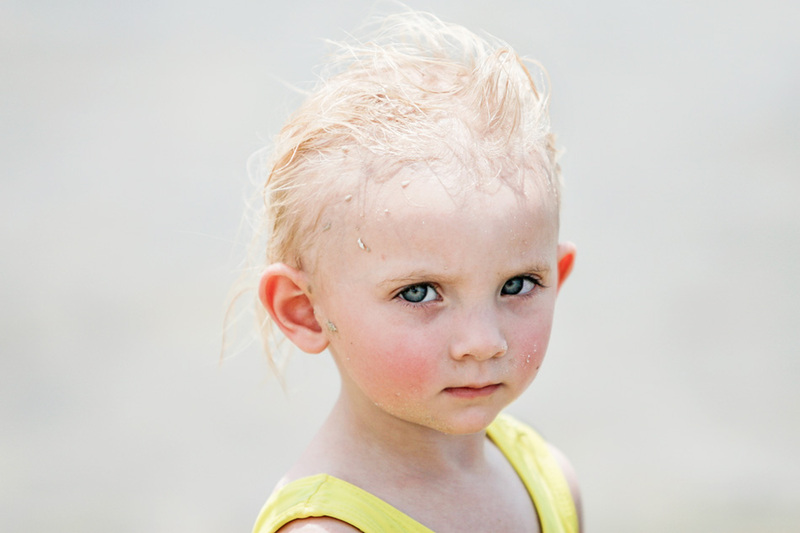 I photographed this striking child on the beach seven years ago in Florida when I was interning for the St. Petersburg Times. I forgot about her until today. There have been so many people and so many pictures and none of it makes any true sense in the moment. It is only with time that we gain perspective and the bigger pictures emerge. I don’t even have a full decade of archives yet and my heart aches with anxiety to think about the immenseness of twenty, thirty years from now. Where will she be then? How many more pictures do I have to take until I understand anything at all? Posted on 03/13/2013 08/07/2013 by Melissa Golden. This entry was posted in Personal, Portrait and tagged archives, florida, Personal, Portrait. Bookmark the permalink.